Guinea-Bissau’s post-independence history has been chequered. A civil war in 1998, followed by the imposition of a military junta in 1999 has been replaced with a multi-party democracy. The economy remains fragile, however, hopes are high. 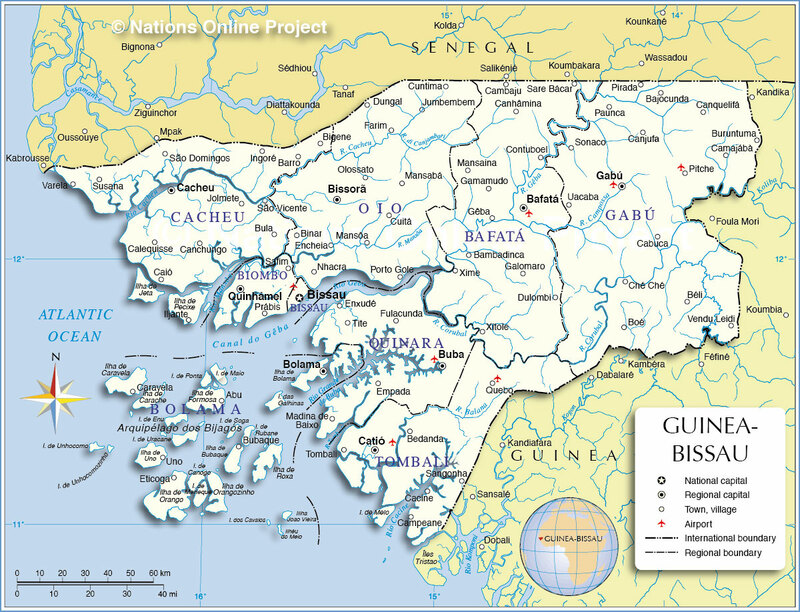 Guinea-Bissau is warm all year around and there is little temperature fluctuation; it averages 26.3°C (79.3°F). The average rainfall for Bissau is 2,024 mm although this is almost entirely accounted for during the rainy season which falls between June and September/October. From December through April, the country experiences drought.